In investment-speak, we typically refer to the economic cycle as the time frame that includes a period of expansion followed by a recession. 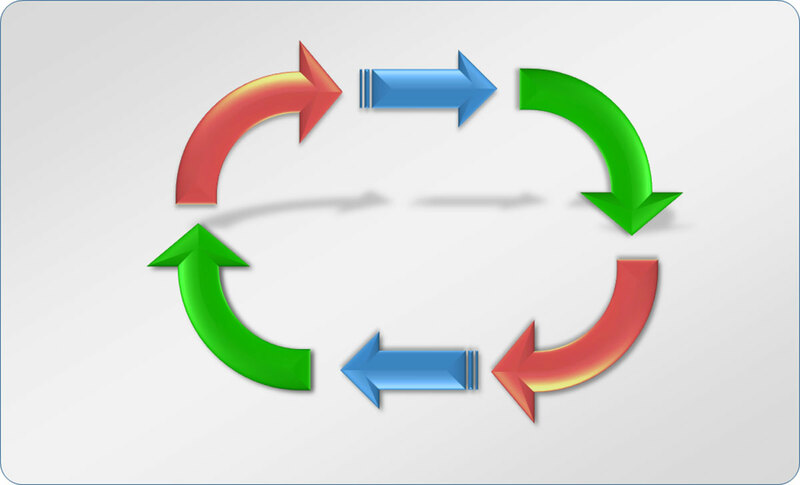 The economic cycle refers to two consecutive periods of expansion and contraction in the economy, also referred to as periods of growth and recessions. Economists typically track the economy’s health by measuring the annualized growth rate of the country’s Gross Domestic Product (GDP). Economic cycles tend to last several years and in some cases can be over a decade-long! For example, the 1990’s growth cycle lasted from March 1991 until March 2001, according to the National Bureau of Economic Research. At the other extreme, the 1981-1982 growth cycle lasted only 12 months, from July 1980 until July 1981. Recessions tend to be much shorter in length than growth periods. For example, the longest recession since the Great Depression lasted 18 months, from December 2007 to June 2009. The Great Depression, on the other hand, was the mother of all recessions, lasting 43 months from August 1929 until March 1933.